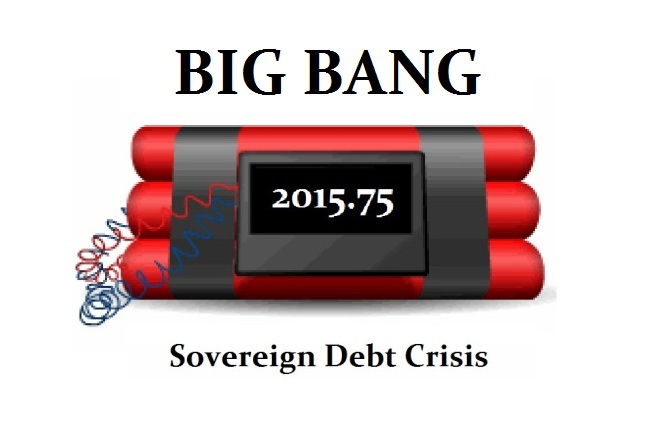 How can the average American prepare for 2015.75 and the coming bond market collapse? What steps can we take? Is now a good time to sell any real estate we might own in the states? The property taxes in NJ are out of control and I am looking to sell my home. Is now a good time? ANSWER: We will prepare a special report on Big Bang for it is complicated. Stockpile some cash. When you go to the bank, take some cash out. Nothing over $2,000 at a clip. But that is necessary just in case there is a banking problem. Any such problem would be in the money center banks for their risk management consists of bribing politicians. If you want to sell your home because of taxes, that makes sense. Property taxes will rise sharply as these local politicians try to keep their pensions funded. You might want to move south to Florida where the property laws are the best in the country. That is of course if you can move to begin with. Any gold should be in gold coins. Silver coins would be good to buy as well rather than bullion. Keep in mind that they imitated Roman coins in India. Why? The design was familiar. So it is not the mere fact that the object is gold. It is the fact that the object is recognized. The average person cannot tell the difference between gold and fool’s gold. By no means make it exclusive in any one sector. Cash is necessary for it is the most familiar. You may want to mortgage your house with a FIXED rate loan. That is one way to hedge the value selling the risk to someone else. Renting an apartment is often cheaper now than the property taxes. This spread is likely to get much worse.